I’m always chasing after the present. But the present doesn’t exist. It’s only an intermission, a temporary respite, which might at any moment be swept away, destroyed, pulverized, by the escaped djinns of the past. 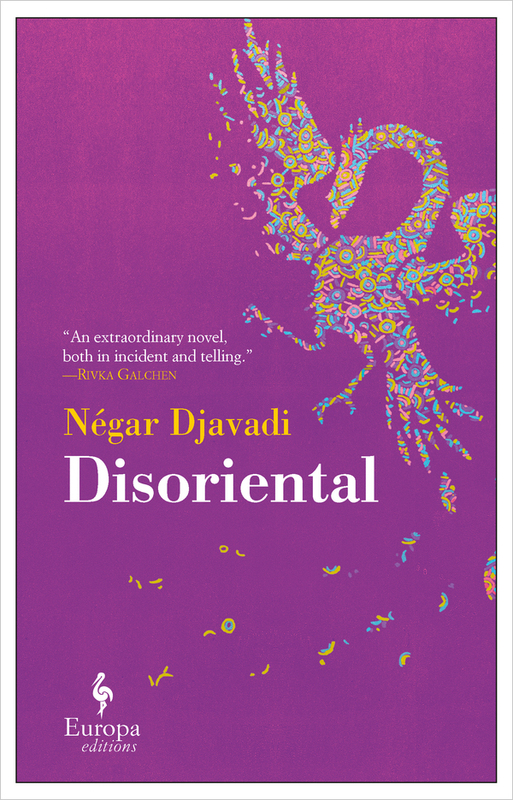 DISORIENTAL, a stylistically fragmented novel by the French-Iranian Négar Djavadi, reads like a multilayered pastiche of unrelated themes, yet all connected to Kimiâ Sadr’s troubled life. A daughter, a sister, a political refugee, a bisexual, going through an existential crisis, needing to write. From the opening, we realize the novel’s main protagonist, Kimiâ, is writing for an audience, almost as if the audience is one of the characters of the novel. The reader becomes the silent witness, on whom she calls for help, approval, and compassion. But you know as well as I do that, to claim to get inside a man’s head, first you need to really know him—to absorb all of the lives he has lived, and all of his struggles, and all of his ghosts. And believe me, If I start there […] I’ll never get around to telling you what I am about to tell you. The French title, Désorientale, intelligently combines the two words Oriental (anyone from the East) and désorienter (one losing her orientation or direction). This word also summarizes one of the novel’s main story lines: at 10, Kimiâ leaves the East (Iran) to live in the West (France), but growing up in France, her malaise de vie and a deep sense of alienation leave her confused and disoriented. A marginal at the margin of a society to which she has been trained to conform. Négar Djavadi was born in Iran in 1969 to a family of intellectuals opposed to the regimes both of the Shah, then of Khomeini. She arrived in France at the age of 11, having crossed the mountains of Kurdistan on horseback with her mother and sister. She is a screenwriter and lives in Paris. Disoriental is her first novel. With the passage of time, the flesh of events decomposes, leaving only a skeleton of impressions on which to embroider. Undoubtedly there will come a day when even the impressions will only be a memory. And then there won’t be anything left to tell. Disoriental, a family saga with similarities to the writer’s own life, goes over generations of Sadrs through Kimiâ’s eyes. She is the youngest daughter of Darius and Sara Sadr. Darius, a journalist and political activist before and after the Islamic Revolution, against both the Shah and Khomeini, remains the same mysterious figure throughout the novel. Kimiâ’s mother, Sara, the other central figure, like any good mother is pragmatic and dedicated. She has learned to live in the shadow of her husband, Darius, her existence intertwined in the existence of his, living only to express her love and devotion to her man. But Darius is mostly absent, or spends his time in his room, consumed by big dreams of change and revolution. Sara’s past appears less remarkable. Her main achievement has been to make Darius Sadr, the shining star of the Sadrs’ clan (and the bad boy who has left a girl at the altar), fall in love with her at 22. They get married despite a big gap in age, but who cares? Sara should feel lucky. 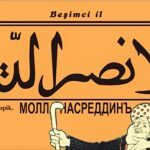 Kimiâ’s act of writing is a tribute, the remembrance of an exceptional being, a man who doesn’t resemble any of us, even though “[o]ur memories select, eliminate, exaggerate, minimize, glorify, denigrate.” So the reader wonders: What is true? What is not? 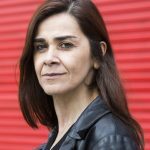 Kimiâ’s difficulty in adapting amid her deep connaissance of French language and culture jolts her into constant conflicts with her mother and her old-fashioned discipline, which leads her to complete alienation from both her past and her present. In Paris, we didn’t talk to each other anymore, about anything. None of us. Each of us was shut up in a silence mode of stupefaction and adjustment. In a state of unconsciousness. The past was just anecdotes now, that could be retold, but were only a vast, white, ruined wasteland. She is pushed back to the margin of a society she cannot deal with. She leaves her house to become a punk and to live with junkies. Until the Big Event happens and “loss,” in the collective meaning of the term, brings her back home. Kimiâ not only cherishes her father, but also admires most male characters such as her uncles and their ancestors. She comes from a patriarchal world where the birth of sons is celebrated, while daughters are born into homes where women have few rights. No wonder the dichotomy of her character transforms her into a girl who wants to be a boy, the boy her father dreamed of taking in and duplicating in his own image. Born into an upper-class family in Tehran and raised by highly educated parents, Kimiâ has become used to a sense of privilege and superiority. The condescending undertone each time she refers to average Iranians might seem a bit exaggerated for non-Iranians, but familiar to Iranian readers: “If there is a God of Lies, Trickery, and Hypocrisy, He must be both Persian and extremely resilient, hiding in a corner of our [we Iranians] brain, ready to jump up and remind us who we are and where we come from.” Kimiâ, as an Iranian stereotyping other Iranians, shows the consequences of living in a society where the immigrants are always looked down upon, and unconsciously have accepted their own inferiority. It also depicts her own mechanism of self-defense against the harsh world. By telling white lies, she pretends to be one of them (the Westerners). This duality is one of the main characteristics of Kimiâ. Girl versus boy, traditional versus modern, good-family-loving daughter versus the rebellious punk, loving Iran versus hating it. The voice of the narration changes to a more journalistic tone when summarizing Iran’s recent political history, which interrupts the normal flow of the novel; this could help or disturb, depending on the reader. This could actually benefit the non-Iranian reader in understanding where these characters come from. Yet the reader should be aware that the simplification of history might not serve its purpose. For the Iranian reader, these sections are not necessary. Every living Iranian has a history of their own, or a “Revolution” story, even if they weren’t born before 1979. In all Persian gatherings, in every first “rencontre,” Iranians eye each other discreetly to figure out what could be this new person’s “Revolution” story. It goes beyond a simple memory; it has become an identity — the way they judge and/or accept other Iranians. But Djavadi, by choosing to include most political and historical events in the footnote, has made a brilliant choice. Iranian or not, most could feel satisfied. Djavadi’s writing is not linear. She masterfully takes her reader through multiple parallel journeys in time and space. But all the Sadrs’ backstories, mostly told to Kimiâ at a tender age, and now retold to the reader, have some kind of fairy-tale quality, reminiscent of Gabriel García Márquez’s magic realism. The reader might resist believing them, and to doubt Kimiâ’s credibility. The effect is provocative and, in the end, enriches the reading experience. The novel, originally written in French and translated by Tina Kover, leaves a different impression in English. The French language, by nature, uses a more complex sentence structure. 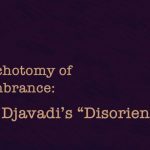 Djavadi’s prose is rich, deep, lyrical, with cinematographic quality, and the structure of her sentences adds more elegance to the flow of narration. But as this prose is translated, faithfully, into English, the well-crafted French sentence sometimes becomes the long English paragraph, where the subject and verb have lost each other. In spite of the novel’s heavy themes, Djavadi, by smart use of humor at tragic moments, lifts her reader’s spirit and alleviates the atmosphere. On the other hand, it could be perceived as Kimiâ’s weakness, as she hides her sorrow behind a facade, acting as if everything is fine. Kimiâ is used to escaping, to lying, and to pretending. But no matter how deeply she loves and hates her roots, no matter how absurdly her words reveal and hide her true emotions, the disaster of “The EVENT” (something the reader has been warned about in the first pages) is the defining moment in this daughter’s life from which she cannot escape. The novel ends with a deep sense of void emerging, an empathy for lost times à la Proust, and regrets for missed opportunities. As Roland Barthes says, “[T]o know that one does not write for the other, to know that these things I am going to write will never cause me to be loved by the one I love.” Kimiâ might feel disappointed at the end of the novel, but this place is where she was destined to arrive all along. This review first appeared in Los Angeles Review of Books. Azarin Sadegh, a 2011 PEN USA Emerging Voices fellow, and a 2010 UCLA Kirkwood Award nominee, was born in Shahi, Iran. 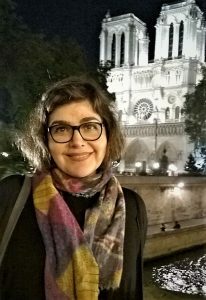 She went to France, studied Computer Science and years later moved to California. In 2006, she realized she couldn’t live without a dream, so she took a writing class through UCLA Extension Writer’s Program. 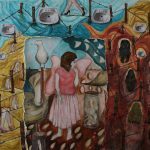 Her work has appeared in Los Angeles Review of Books, the Chicago Sun-Times, Coast Magazine, Iranian.com, and various anthologies. A resident of Aliso Viejo, she is working on a novel, The Suicide Note. Thank you for visiting Hamsayegan.